With an increase in types of devices to access an online learning platform, the learners now have the option to access courses through desktop, laptop, tablet and smartphones. While some learners prefer desktops, others may find mobile devices convenient for learning on-the-go. As a result, organizations are keen more than ever to buy a responsive LMS for multi-device online learning. But how do you choose a responsive LMS that would create an effective learning experience for learners? Offline access of an e-learning course is a crucial factor which can help you decide on most suitable LMS. With an increasing number of learners accessing LMS on-the-go, you can choose the one which offers downloadable course material so that learners view course material later, even if they don’t have an internet connection. Later when learners have an internet access LMS syncs with the mobile device to reflect the course progress viz lessons, assignments, exercises taken. So, to make the most of the responsive LMS, ensure that it provides an offline access for anywhere, anytime learning. Data security is a prerequisite. Your learners must be assured of security so that they may fully engage with the learning platform. Therefore, it is worthwhile to ask your LMS vendor about the security protocols and encryption. Ideally an LMS should ask for two authentications and save data on a remote server. You may go even further and have a look at the current or past client reviews of an LMS vendor on security measures as well. The platform loading times and navigation are considerable factors while selecting an LMS. A longer loading time can turn off your learners right before s/he gets started with the learning process. This makes it imperative to test loading times beforehand and ensure that platform offers a smooth navigation devoid of any clueless searching. A content/ screen must preferably be 3 clicks away i.e. the user must reach the desirable page/ content within 3 taps. Make sure to offer courseware with minimal loading time and effortless navigation. Your online learning course may have limited users initially. But, it is not going to be the same always. Your learners will grow in all probability and you may need an LMS equipped to handle this ever growing number. Hence, it is important to consider the scalability of LMS while you decide on one. Select an LMS which offers you a scalable platform. Users’ feedback is a determining factor to evaluate an LMS. It will help you identify which LMS is best suited to your organizational requirements. For instance, if you find that an LMS offers a host of features and high-tech functions, but neither your eLearning team nor learners are equipped to use the platform effectively. This would result in a costly learning curve. Choose a tool which can be administered, managed and operated by all users effortlessly. A vast majority of LMS providers offer demo or free trial that gives you a chance to try the product before you buy. Avail this opportunity to see if the eLearning platform offers all the features you need. 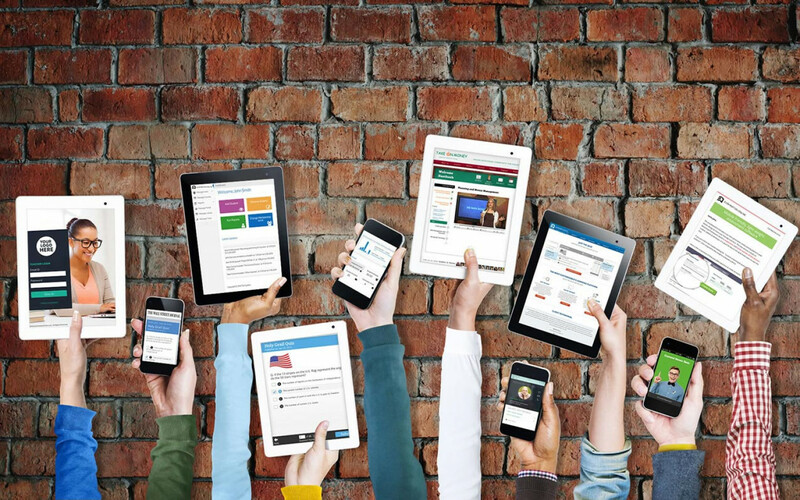 Apart from this, keep the above-mentioned factors at hand to ascertain if an LMS has all the multi-device essentials. Want to learn more about mobile learning design? Read article 7 Best Practices to get Mobile Learning Design right and discover how to create outstanding mobile learning designs.